Meggan Watterson and Rochelle standing side by side as souls who remember that the most sacred path of life runs between the breath and the bones of the body. After a dance with heartbreak, betrayal and loss, Rochelle took a pilgrimage to Peru to heal. You can read about the gifts she found in Chapter 1, as well as the story of how Qoya was born. Here are some photos to feel the energy of this powerful time when Qoya began to live in this world again, and as if for the first time. A very mystical experience indeed. Rochelle enjoying her first trip to the Amazon Jungle. Shaman Don Francisco looking out into the Sacred Valley. Around 17,000 feet, this is the lagoon where Rochelle hiked up to on Salkantay. Q'ero shamans leading the group through daily despacho ceremonies. Look for the journal! The spot where Rochelle wrote the 20 pages down! One of the three essences of a Qoya class we cover in the Qoya Teacher Training is based on the idea that all answers are within. Qoya is like a map, like a labyrinth, into the center of yourself to access your deepest truths. This ritual is another way in. The first time Rochelle did a three card story was as a student in the Four Winds Society in a class called Working with the Sacred. 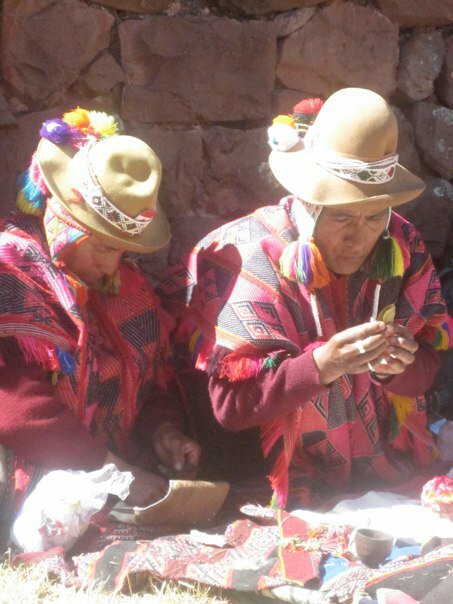 She received training in energy healing and was initiated into the healing traditions of the Q'ero Andean Shamans of the Sacred Mountains of Peru, as well as the Jungle Shamans of the Amazon. If you're interested in learning more about the Four Winds and Shamanic Healing Traditions, visit www.thefourwinds.com. STEP TWO: Take a couple of deep breaths to come more into your instinctual sense of letting your body lead you and feeling the card draw you to it. As you pull your three cards, root into your intention that one card is to symbolize the beginning of the story, one for the middle, and one for the end. Leave the cards face down, and wait to turn the cards over one at a time as you write. STEP THREE: With blank paper and a pen in front of you, write this first sentence down, “Once upon a time, there was a woman/man who ____." 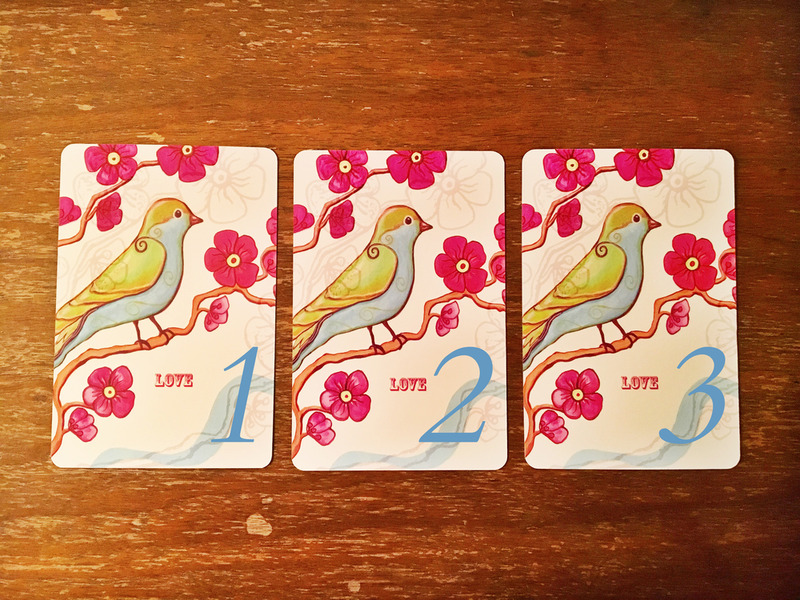 Once you have pulled the three cards, have your pen and paper ready, and have written the first line of the story, turn over the first card and write the beginning of the story, taking any inspiration from the card that comes up. Don't feel overly attached to the words on the card or the picture. There's no way to interpret it incorrectly; simply be open to anything the card brings up and means to you. Cards are a powerful way to practice accessing more of your intuition and to get past literal and rational thought to access more of your mythic, archetypical and subconscious feeling. While writing the beginning of the story based on the first card, do not lift your pen from the paper. This is not a creative writing exercise; it is an invitation for your soul voice to come through, which is strongest when it is unfiltered and unedited. When the beginning of the story with the first card is complete, flip over the second card and write the middle of your story. Finally, pull over the third card and write the end of the story. STEP FOUR: Read your story out loud, and listen deeply to your words to hear the theme, mantra, or intention that came forward. STEP FIVE: Read the story again our loud, except this time, instead of reading the story in the in 3rd person (i.e. woman/man, she/he), read it in 1st person (i.e. I/me). Feel what comes forward. Again, do not feel stress over any literal analysis of the story. Your intuitive feeling about its meaning will be correct. STEP SIX: To embody this experience, can you think of a song that feels like the message you received? Experiment with doing the circling exercise to that song once a day for a week to keep expanding your relationship to the insight you received from your three card story. Our true nature is the medicine we are all seeking, and the natural world is the best mirror of our true nature. Here are just a few expeditions on which Rochelle has taken her community to inspire you. When Rochelle took her pilgrimage to go back to the place she was born, she was drawn to explore the sculpture garden across the street and stumbled into these words by T.S.Eliot.